Today: A lighter way to make a creamy salad dressing (without eggs or mayo or cream) -- plus, how to stop wasting so much bread. If you are a person who likes freshly baked bread, I would bet you're also a person plagued by forgotten heels of baguettes and boules skidding toward fossildom on the counter. You're always looking for more ways to keep up, especially ones that will weave into your diet subtly, that don't feel like another meal made of bread. 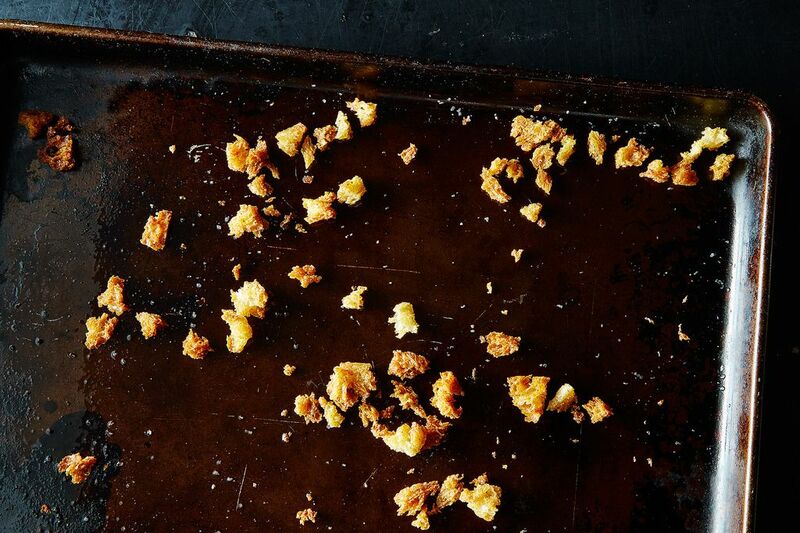 In its varying states of metamorphosis, abandoned bread can become croutons, crumbs, French toast, panzanella, or pudding. With these dimly in mind, as if on a weekly appointment, I stuff a dead nub into my freezer, packed hastily and poorly, so it will at least be there "when I need it." Which is how one humbling team lunch, while others had brought attractive avocados or greenmarket carrots, I left Kenzi to do her best with a chunk of I'm-not-sure-what that was so freezer-burnt she almost couldn't cleave through it. As she leaned her body weight onto the knife, it squeaked in refusal. But even that, in its decrepit state, became a perfectly good pappa al pomodoro. Never give up! 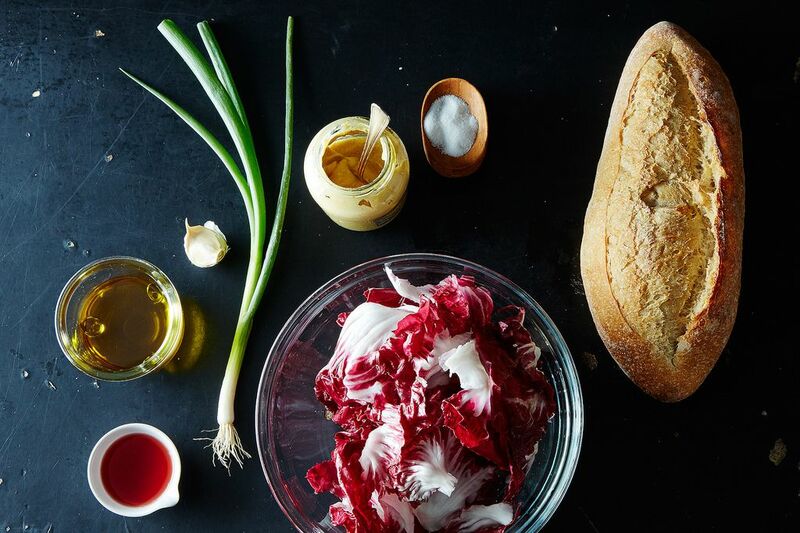 You can turn bread, even at its least edible, into a real, true meal. But if I'd known this genius trick from Bon Appétit back then, I might not have let my freezer turn into such a graveyard. 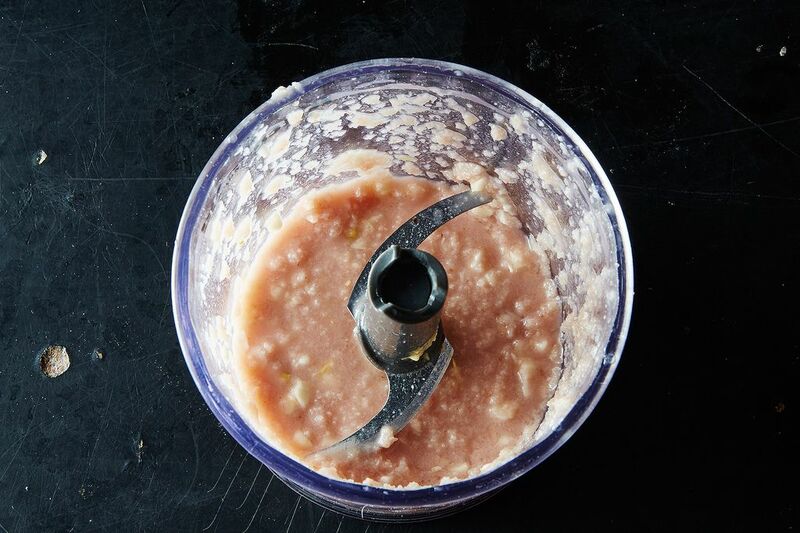 Editors Dawn Perry and Claire Saffitz developed a way to plump up a spare vinaigrette, without getting cream or mayo or egg yolks involved -- so you can serve it to your vegan friends (and young children, the pregnant and infirm, and anyone else you don't feel comfortable subjecting to your own cavalier attitudes about raw egg). 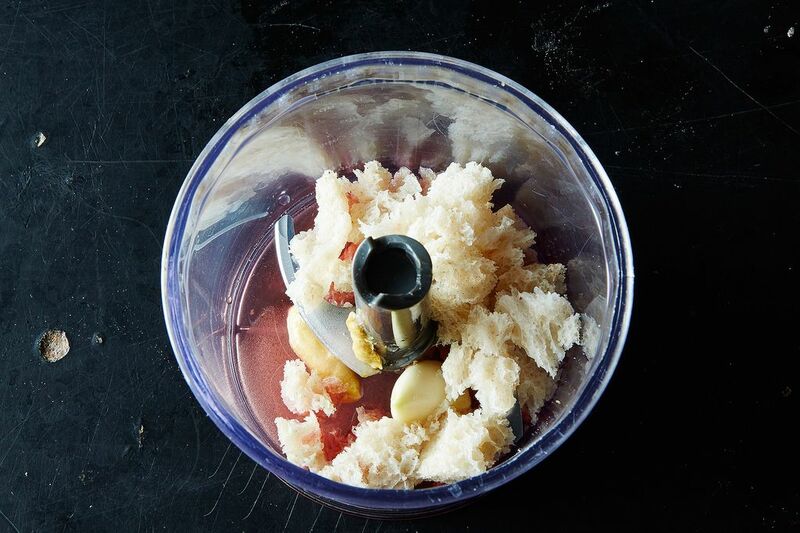 After a few quick pulses in a food processor and a soak with vinegar, garlic, mustard, and water, the bread bits soften. Then, as you blend in the olive oil, they smooth out into a rich emulsion, like an extra-punchy white gazpacho. Better yet, the bread contributes not just thickening strength, but flavor. 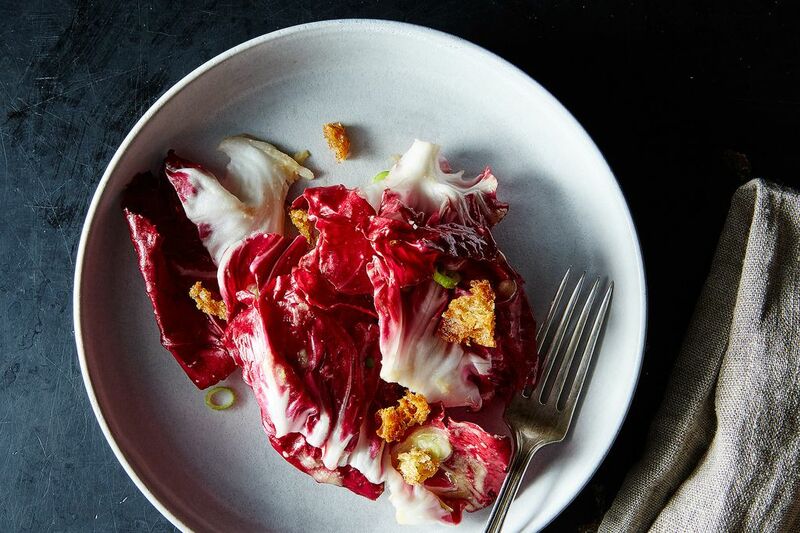 Here, the creamy tang of sourdough bounces nicely off of bitter radicchio, but you could harness pumpernickel or rye or rosemary focaccia in the same way, making not-boring salads that don't need much more. 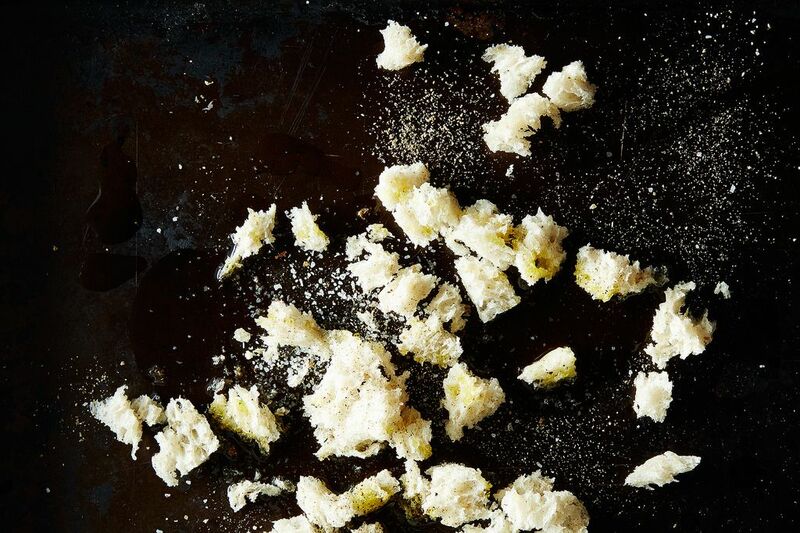 Crisping up another handful of bread bits in olive oil will complete the circle -- and help make room for a new loaf of bread. One can also use this old bread to make Bread Soup. 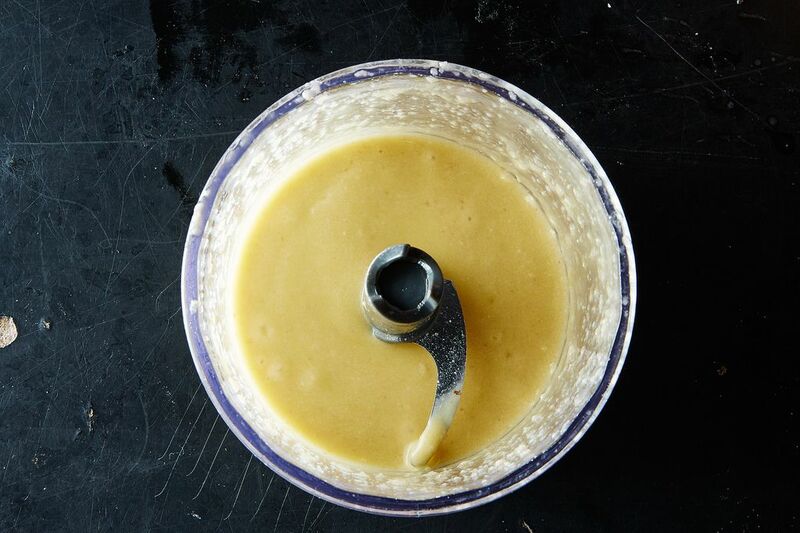 Just add it to your stock soup, use your immersion blender after allowing the bread to soften: say 10 minutes. This will thicken up your soup tremendously. Reduce it further, or add some stock ( or wine, or beer, what ever pleases you ) and any cooked veggie, or noodle. A fairly quick and easy soup and one that will never be replicated as your breads shall always change. Enjoy! 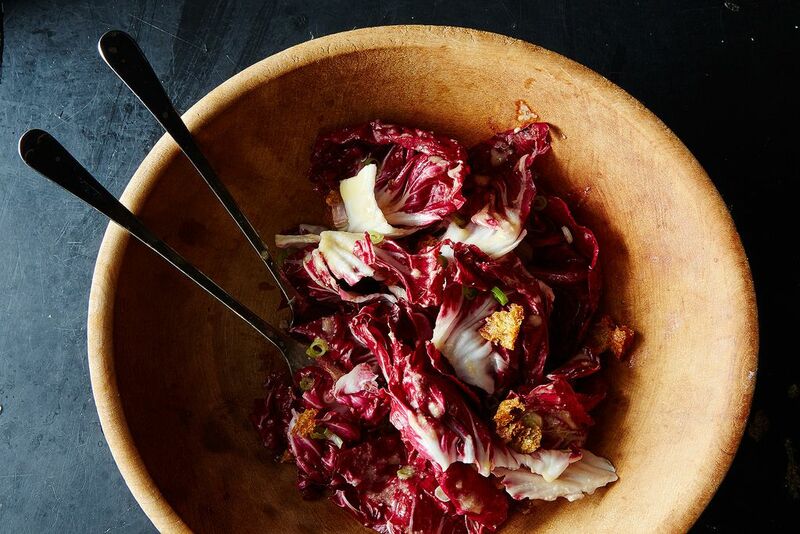 Thanks for making beautiful radicchio more palatable.